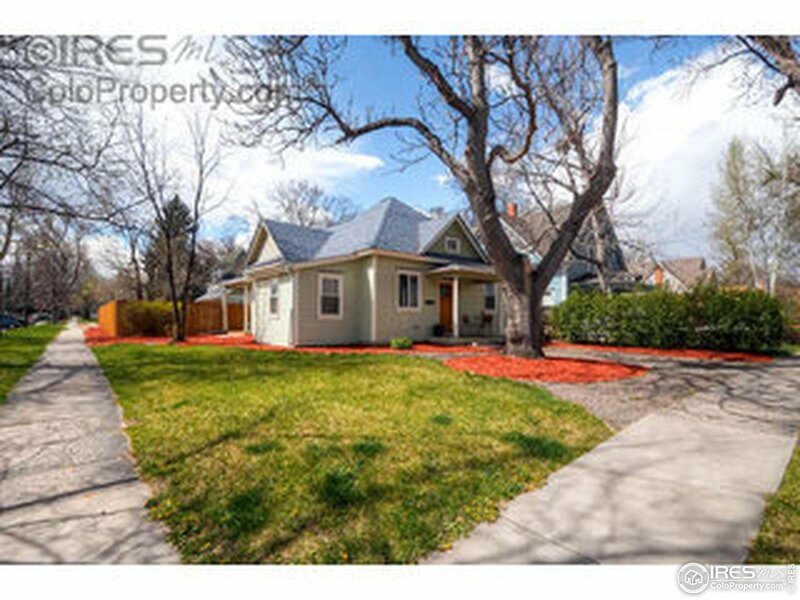 Very Nicely Updated Home in Old Town! Newer Kitchen w/ Quartz Counters, Gas Range/Oven, Newer Cabinetry and Tile. Updated Baths, Fenced and Landscaped Yard, Newer 2 Car Garage off of the Alley. Lots of Wood Floors and Neat Old Town Bungalow Details. Two Blocks to CSU and Seven Blocks to Old Town Square. Must See! All Measurements Approximate. © 2019 IRES Information source: Information and Real Estate Services, LLC. Provided for limited non-commercial use only under IRES Rules. @copy; Copyright IRES. All rights reserved. Information deemed to be reliable but not guaranteed. The data relating to real estate for sale on this website comes from IRES and the Broker Reciprocity Program.sm. Real estate listings held by brokerage firms other than Continental West Realty, LLC are marked with the BR logo and detailed information about them includes the name of the listing brokers. Listing broker has attempted to offer accurate data, but buyers are advised to confirm all items. listing information is provided exclusively for consumers' personal, non-commercial use and may not be used for any purpose other than to identify prospective properties consumers may be interested in purchasing. Information last updated on 2019-04-21 11:30:41.